Sama Alshaibi, Tammam Azzam, and Rula Halawani are participating in Zeytinburnu International Photography Festival (ZFotoFest) in Istanbul Turkey. Organised by Zeytinburnu municipality, ZFotoFest is a nonprofit organisation that attemps to inspire and bring together photographers from different fields and to expand the limits of photographic narration. Through this edition’s theme, Oxygen, the festival aims to strengthen already existing public awareness on environmental issues through photography and film – exploring concepts of ecological collapse, perishing nature, industrial waste, human helplessness at facing wars, and destruction caused by immigration and urbanisation. On show will be works from Sama Alshaibi’s Silsila series. Named for the Arabic word silsila, or ‘link’, the works explore the joining of individuals to one another, humans with the natural world, and the self to the divine. Inspired by the nomadic traditions of Bedouins and the writings of fourteenth century Moroccan explorer Ibn Battuta, Alshaibi has composed a body of work that describes the desert as a place of enduring paradox. Tammam Azzam is presented with his digital works. In these works, Azzam creates visual composites of conflict that resonated with international viewers. These widely distributed works are informed by his interest in the interventionist potential of digital photography and street art as powerful and direct forms of protest that are difficult to suppress. In early 2013, Azzam made worldwide headlines when his Freedom Graffiti print went viral on social media. Rula Halawani’s Jerusalem Calling series is included in the Festival. 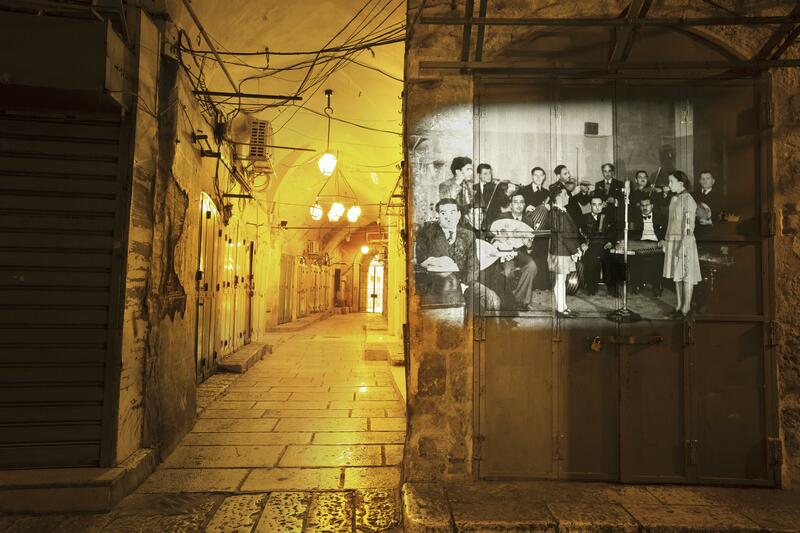 Jerusalem Calling gathers nighttime images of the city’s streets, to which the artist includes black and white projections of Jerusalem’s vibrant atmosphere recorded between 1936 and 1948. Alongside the exhibition, the festival will host artist talks, workshops, portfolio reviews, and film screenings. Alshaibi, Azzam, and Halawani will take part of a panel discussion with curator of the festival Ozan Bilgiseren and ZFotoFest Artistic Director Murat Gur on 20 January. Sama Alshaibi will conduct a portfolio review for photography enthusiasts on 23 January.